How are elements related to molecules? To compounds? How are molecules, or compounds, held together? 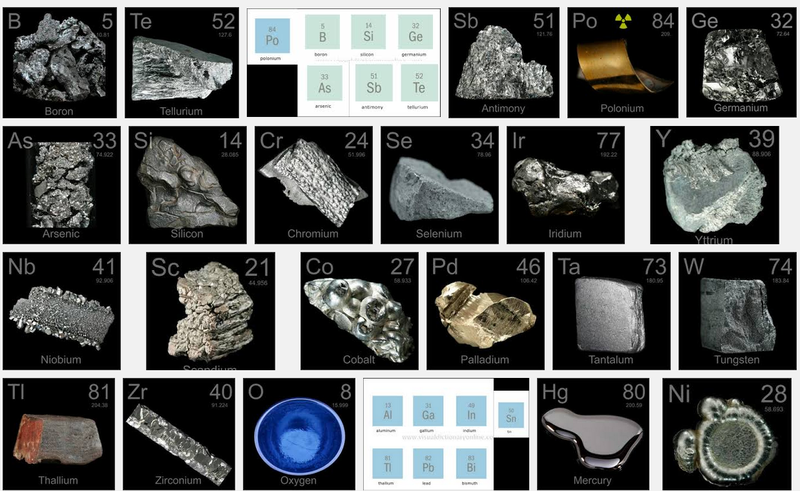 An element is a pure substance consisting of only one type of atom. 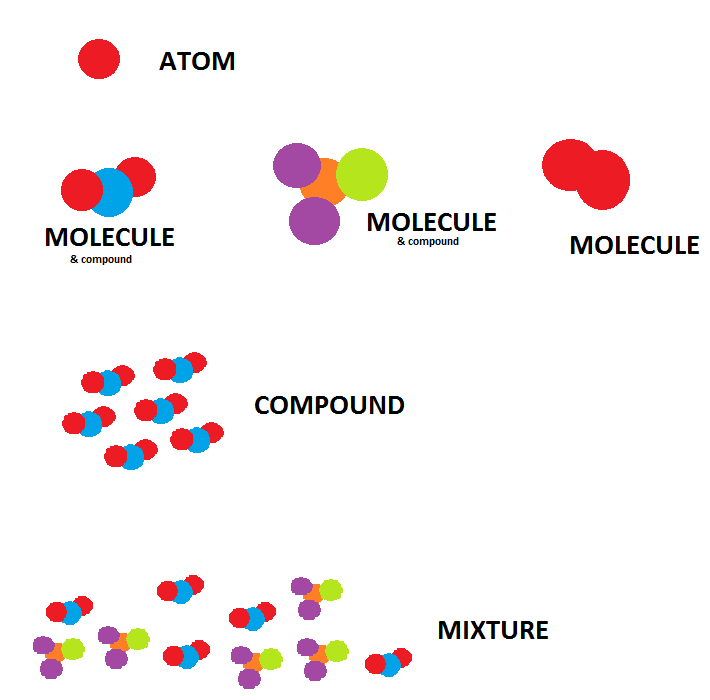 A compound is a molecule made of atoms from different elements. Therefore: All compounds are molecules, yet not all molecules are compounds. If we have different molecules mixed – but not bonded – then they are a mixture. Hydrogen gas (H2) is a molecule, but not a compound because it is made of only one element. Water (H2O) is a molecule, and a compound : made of hydrogen (H) and oxygen (O) atoms. Atoms that share electrons have covalent bonds. An oxygen molecule (O2) has a covalent bond. Atoms that donate electrons to their neighbor, and then hold each other with “static electricity, have ionic bonds. These occur when electrons are donated from one atom to another. Table salt (NaCl) is a common example of a compound with an ionic bond. 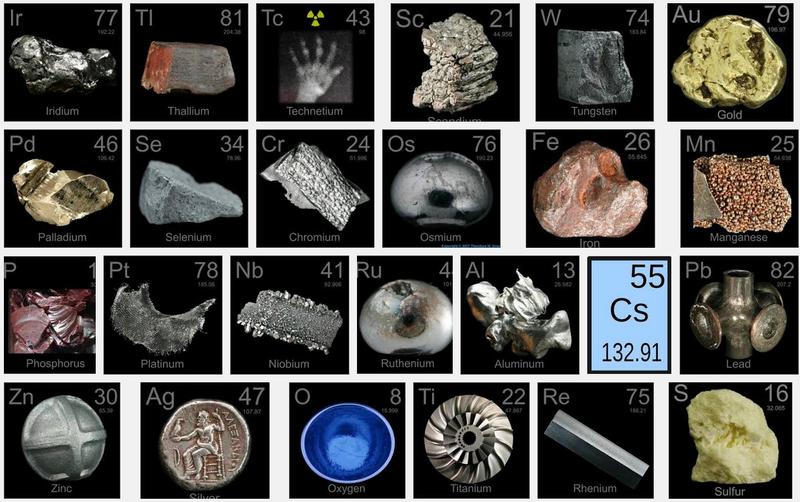 These occur between metal atoms. A metallic bond is a lattice of positive ions, immersed in a sea of electrons. The ‘sea’ around them are the valence electrons, which are not tightly bound to their home atom, and so become free to flow through the solid metal, as if they are a gas. * delocalized electrons in the ‘sea’ of electrons enable the metal atoms to roll over each other, when a stress is applied. There is no single “best” way to draw the structure of a molecule; the method you use depends on which aspect of the structure you want to emphasize and how much time and effort you want to spend. Figure 2.4 “Different Ways of Representing the Structure of a Molecule” shows some of the different ways to portray the structure of a slightly more complex molecule: methanol. These representations differ greatly in their information content. For example, the molecular formula for methanol, part a, gives only the number of each kind of atom; writing methanol as CH4O tells nothing about its structure. The structural formula, part b, indicates how the atoms are connected, but it makes methanol look as if it is planar (which it is not). Both the ball-and-stick model, part (c), and the perspective drawing, part (d), show the three-dimensional structure of the molecule. The latter (also called a wedge-and-dash representation) is the easiest way to sketch the structure of a molecule in three dimensions. It shows which atoms are above and below the plane of the paper by using wedges and dashes, respectively; the central atom is always assumed to be in the plane of the paper.